The Building Expert program includes 100 high-impact, double-sided postcards with your branding to communicate your expertise in the building and to offer your services. 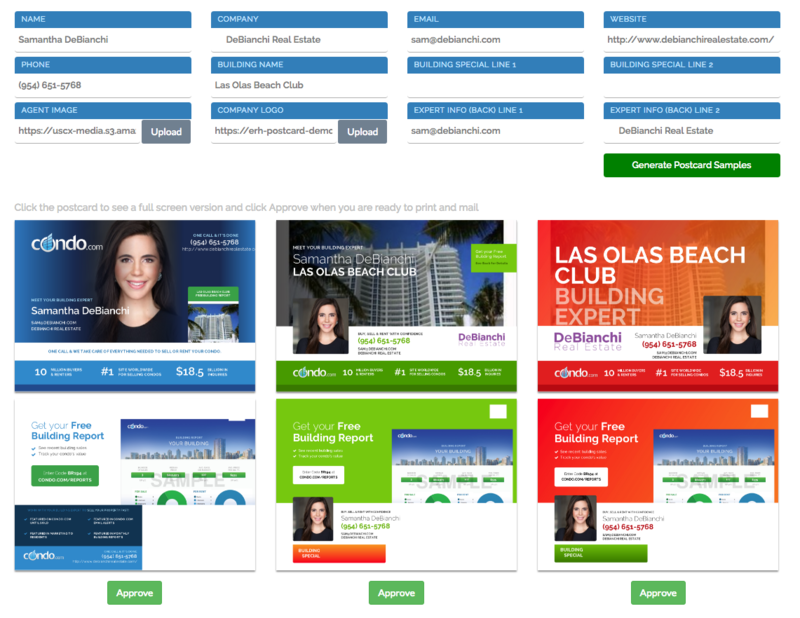 The cards have a prominent call to action for a Free Building Report – an effective way to grow the resident email database for monthly agent-branded Building Report email campaigns. We’ve created a dynamic postcard creation tool that allows you to add your image, logo and contact information into three distinct versions and see the print-ready proof in realtime before we produce and send. The best performing agents understand the power of marketing and make sure that they mail, not just the 100 cards included in the Deluxe package, but the entire building. 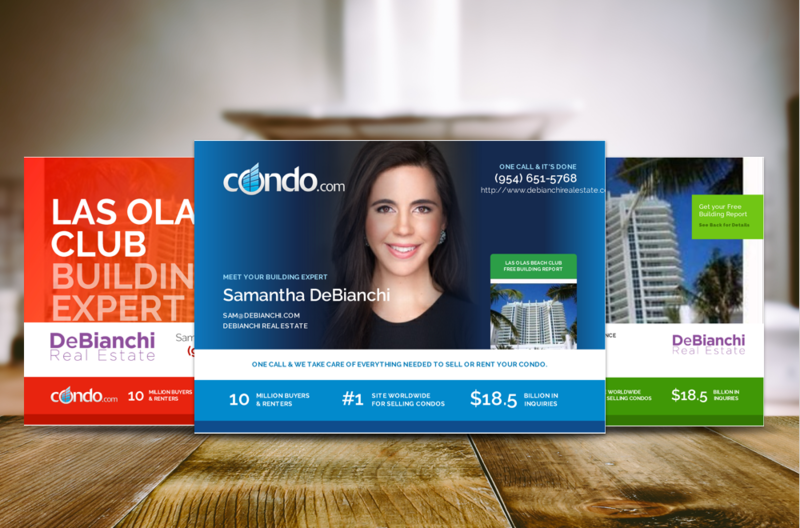 Condo.com is doing the heavy lifting – design, production, address aggregation and upload to the mail house and mailing – take advantage of the turn-key service and mail as much as your budget allows. The more exposure, the more likely you will win business. Some Building Experts mail the entire building 2x each month. Ask us about discounts and special offers on additional postcards. For national brokerage firms, we can provide custom templates to match your firm’s colors and brand requirements. The key to any successful marketing program is repetition. It may take 3 or 4 times to be in front of a potential buyer or seller before your message resonates and they are ready to speak with you. Our mission is your building success, so mail, mail and mail again. 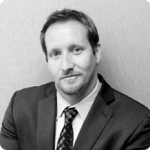 Michael is a member of the senior team and manages Building Expert product development and the Company's condo building database and curation system. He works closely with the Building Experts to establish best practices and help agent's win business and make money by owning buildings. He was previously an investment banker with Guzman & Company where he managed Treasury Services and an online money market portal and with PIMCO, a leading global investment manager. He attended Stanford University on a swimming scholarship where he swam with two national championship teams. Michael enjoys spending as much time as possible in the ocean.